"Technical Chart Indicators Are Your Keys To The Kingdom"
"Which indicators do you use?" On this page, you'll find technical chart indicators which have stood the test of time. Used in conjunction with one another, these indicators will help uncover and confirm powerful market buy and sell signals... money you can take to the bank. The Elliott Wave method is named for its architect, R.N. Elliott. He discovered stocks move in a series of waves. In an uptrend, there are three impulse waves and two corrective waves -- for a total of five waves. After the fifth wave, there will be a corrective A-B-C three wave pattern, down. Taken in its simplest form, Elliott Wave analysis is a robust forecasting tool. Fibonacci retracements help pinpoint stock price reversals. Stocks have a tendency to move in one direction for awhile... then, stop and reverse. 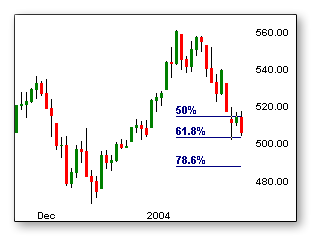 The reversal or retracement is measured as a percentage of the original movement. 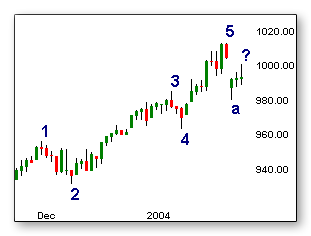 The Fibonacci number series is the basis for calculating percentages which are best for locating areas of probable reversals. Plus, you will be able to forecast likely price targets... sometimes to the penny! The Relative Strength Index was introduced to the trading community in 1978 by Welles Wilder. 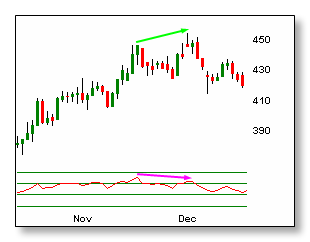 It's a powerful momentum oscillator which can forecast price reversal points, as well as, price targets in trending markets. It may very well be the only oscillator you'll ever need!